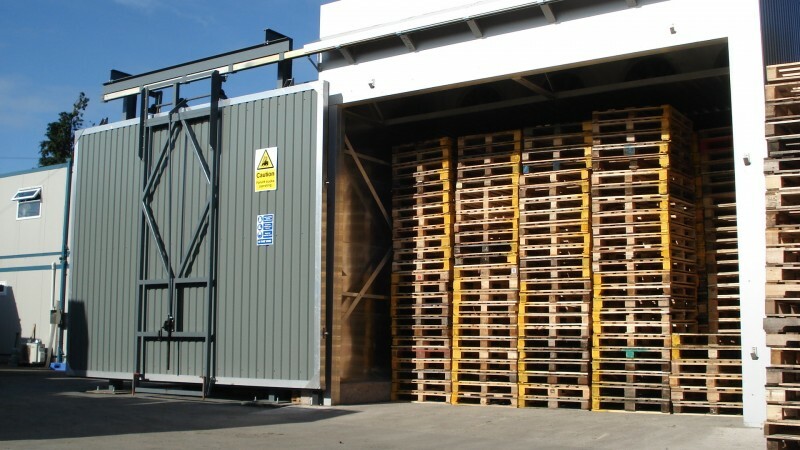 An overview of the British packaging and pallet market has been revealed in the form of the results of a wood pallet and packaging survey by the Timber Packaging & Pallet Confederation (TIMCON) and the Forestry Commission. The results were presented at the TIMCON general meeting in February, and it was revealed that around 900,000m3 of home-grown wood was used within the sector during 2015. Members of TIMCON represented almost three-quarters (70 per cent) of the business concerned. There are currently around 250 million timber pallets in British circulation, and the survey revealed that over 42 million new wooden pallets had been added and a further 39 million repairs on pallets had been carried out. Another significant figure highlighted by the survey was the fact that members of TIMCON currently employ almost 3,000 people (2,994) at 120 locations around the country. TIMCON president John Dye called the survey a ‘vital collaboration’ with the Forestry Commission which gave an ‘unparalleled view’ of the pallet market. He added that the results illustrated the ‘substantial’ scope of TIMCON, its prominence as an employer and its importance as a UK sawn timber outlet. Dye said the results of the survey would be used as a starting point for talks with NGOs and government agencies and as the basis for the creation of legislation which encourages the use of wood as the most economically and environmentally sustainable raw material. He added that previous TIMCON lobbying of the ONS (Office for National Statistics) had paid off, resulting in better measurements which now closely match TIMCON figures for the production of new pallets. David Hopkins, the Timber Trades Federation’s managing director, also spoke at the meeting to give a presentation about the impact of the Brexit vote on the timber sector. A survey of federation members has revealed that around 60 per cent believed that it has had a negative effect on business, but 30 per cent said that the situation should become more positive as time goes by. He said that current fluctuations were causing uncertainty and a focus must be placed on lobbying around the issue of single market access, which was the biggest issue for timber-based companies. Hopkins announced that the TTF was meeting with EU partners and taking part in EU trade bodies in order to take a proactive approach in the face of Brexit. He added that the federation was also behind a strong lobbying programme to MPs and collaborations with organisations in the supply chain to help stimulate market growth. Martin Bishop, Confor national manager for Wales, also spoke about the effect of Brexit on Britain’s forest sector. The leader of the non-profit organisation said that more tree plantings could be the result without the limiting factor of the Common Agricultural Policy having an effect. He said that Britain leaving the European Union could mean more solid protection for UK forestry. Furniture and forest-based industry specialist Gabriel Roberts, of France’s Institute of Technology, meanwhile, talked about his organisation’s work on the development of a ISPM 15 portable control tool for the French Agricultural and Technology department. Dye called the research ‘very interesting’ and said that TIMCON was ‘looking forward’ to the results. He said that this presentation and the others seen at the general meeting showcased the benefits of the British sector maintaining close relationships with its European counterparts. Dye said that TIMCON remained committed to maintaining its central position as one of FEFPEB’s key players in order to benefit both its membership and the timber industry in general. The TIMCON AGM will be held on September 5 in Dublin.